TEHRAN, Iran — Seventy-year-old Heidar Fekri has been selling industrial equipment from his small store in a Tehran bazaar since before the revolution, but for the first time he is not sure he can survive. Anticipation of the return of the the full sanctions, including the oil embargo — due to kick in on Monday — has already plunged the country into recession and will see the economy shrink by 3.6 percent next year, says the International Monetary Fund. Prime Minister Benjamin Netanyahu on Saturday praised US President Donald Trump for reenacting all sanctions on Iran that had been lifted under the 2015 nuclear deal. 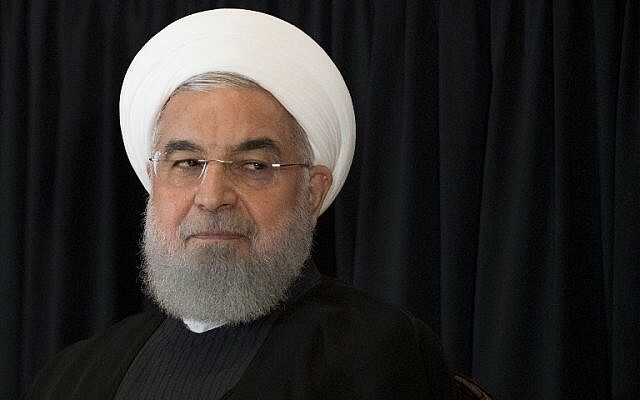 “For years I’ve called for fully renewing sanctions against Iran’s murderous terror regime that endangers the entire world,” he said in a statement. 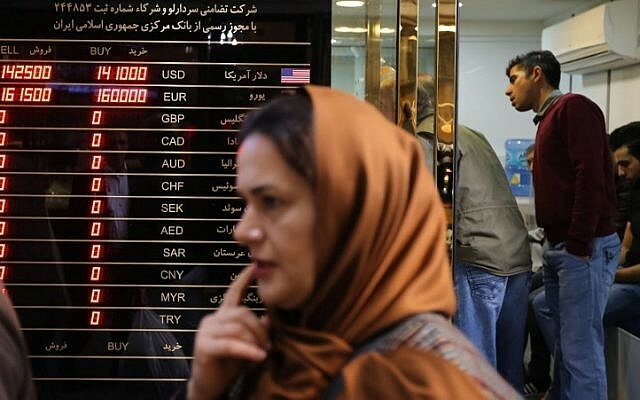 The sanctions, which will take effect on Monday, cover Iran’s shipping, financial, and energy sectors and are the second batch the administration has reimposed since Trump withdrew from the landmark accord in May. The rollback ends US participation in the nuclear deal, which now hangs in the balance as Iran no longer enjoys any relief from sanctions imposed by the world’s largest economy. 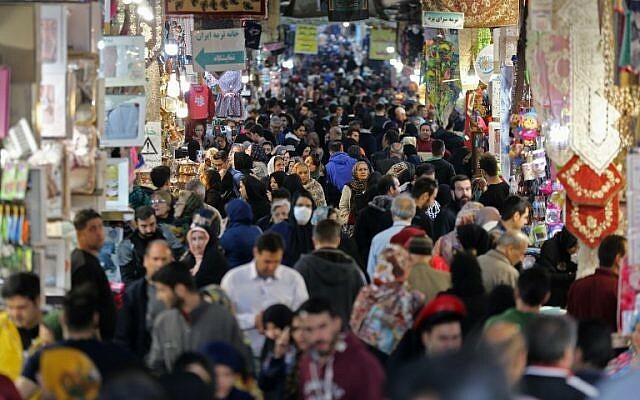 For Iran’s middle class, perhaps the biggest blow is psychological, as the burst of hope that accompanied the nuclear deal in 2015 — the promise of the country finally shedding its pariah status — has evaporated. Washington says the sanctions are designed to curtail Iran’s “destabilizing” activity in the Middle East, but many see them as an attempt to trigger a revolution. There is plenty of hatred towards the Trump administration, but a surprising number of Iranians pin the blame on their own government for not better protecting them.